Misheard song lyrics (also called mondegreens) occur when people misunderstand the lyrics in a song. These are NOT intentional rephrasing of lyrics, which is called parody. 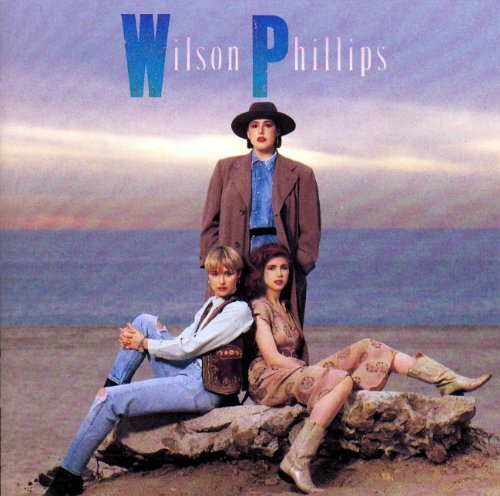 This page contains all the misheard lyrics for Wilson Phillips that have been submitted to this site and the old collection from inthe80s started in 1996. For more information about the misheard lyrics available on this site, please read our FAQ. There are 31 misheard song lyrics for Wilson Phillips on amIright currently. There are also Wilson Phillips misheard lyrics stories also available. I know you took my change. I know that there is pain. Until then baby, are you going to let them hose you down and make you cry? Until then baby, are you going to let them hold you down and make you cry? Why do you lock yourself up in these chairs? You've got no one to blame for your own happiness. You got yourself into a romance. You've got no one to blame for your unhappiness. You got yourself into your own mess. You got yourself into your romance. And lose myself in your kiss. And lose myself in your milk. It's time I had two feet on the ground. It's time I had to beat on the ground.